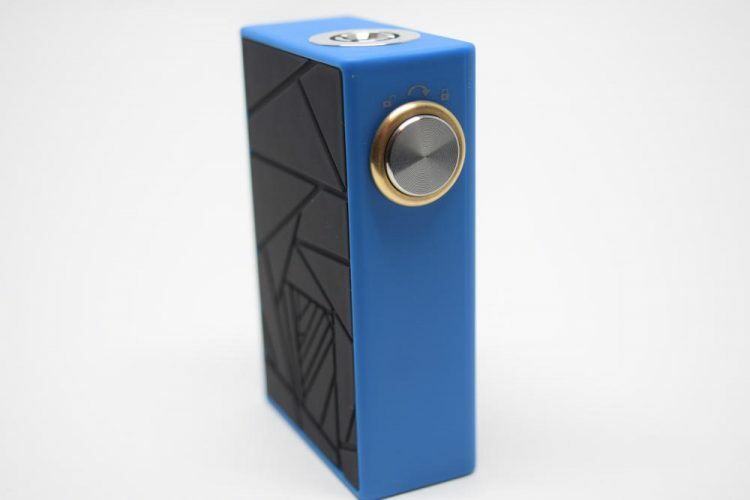 If you’re in the market for a cheap but reliable squonk mod, look no further than the new Arctic Dolphin Crea. You can pick up this bottom-feeding device for under $30 and enjoy the same vaping experience that only a few months ago you would have had to pay over $100 for. It’s amazing how quickly innovation can drive prices down in such a competitive industry, and all we vapers have to do is sit back and enjoy the ride. 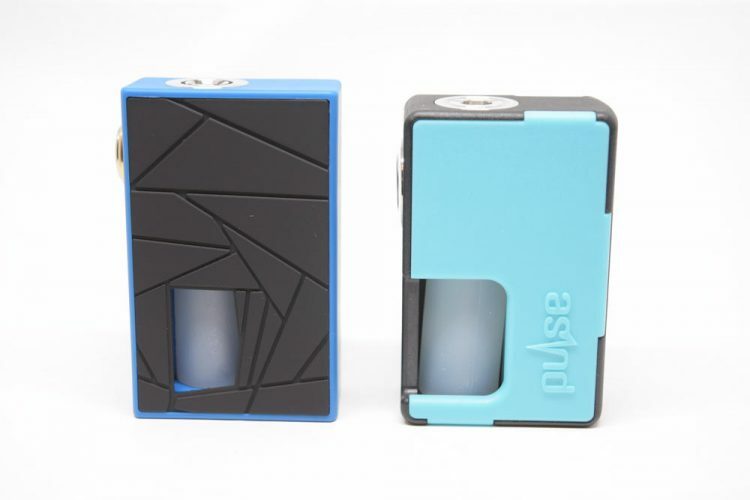 It all started when Vandy Vape came out with their ridiculously cheap Pulse BF Squonk Mod, and companies have been following suit ever since. The Arctic Dolphin Crea is only the latest affordable squonk mod to come out in the last couple of months, but there are already a bunch to choose from, and many more to come. 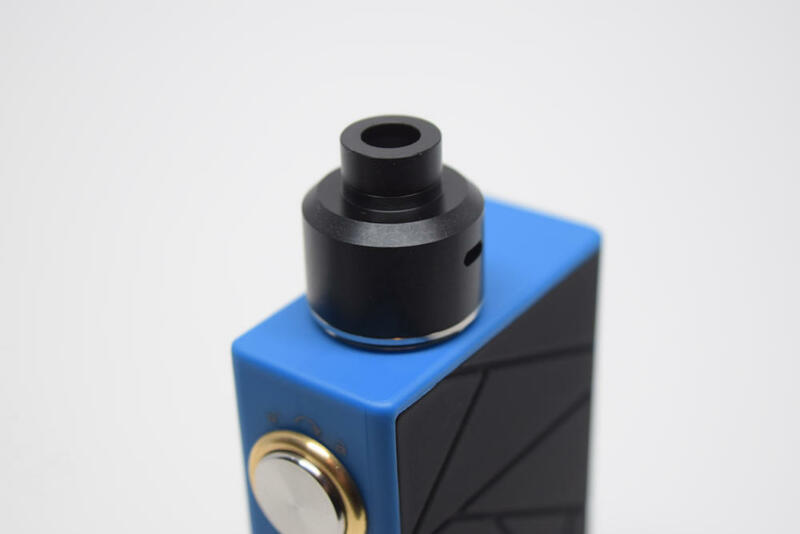 One thing’s for sure, the considerable price drop of bottom-feeding devices has finally made squonking mainstream, so we can all enjoy a dripping-like vaping experience without actually having to drip all the time. The Arctic Dolphin Crea kit comes in a rectangular plastic case with a clear lid that offers a clear view of the device inside. 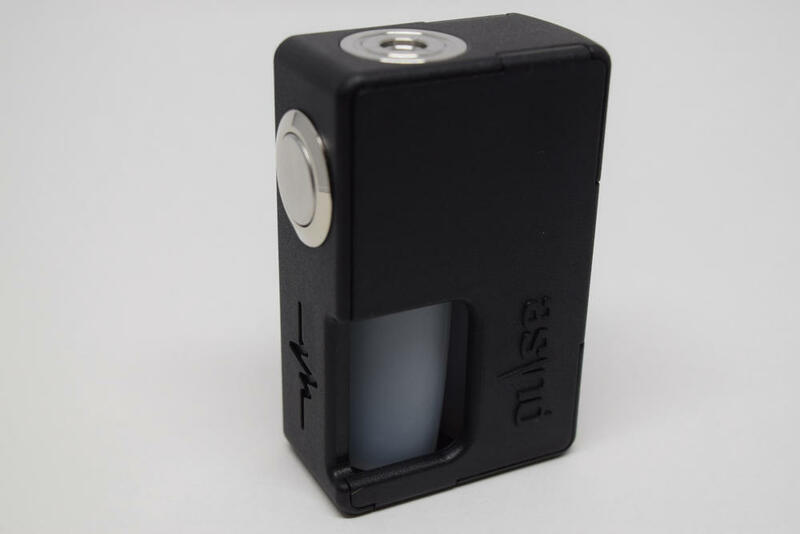 The mod itself sits in a Styrofoam holder, next to a small 22-mm bottom-feeding RDA. 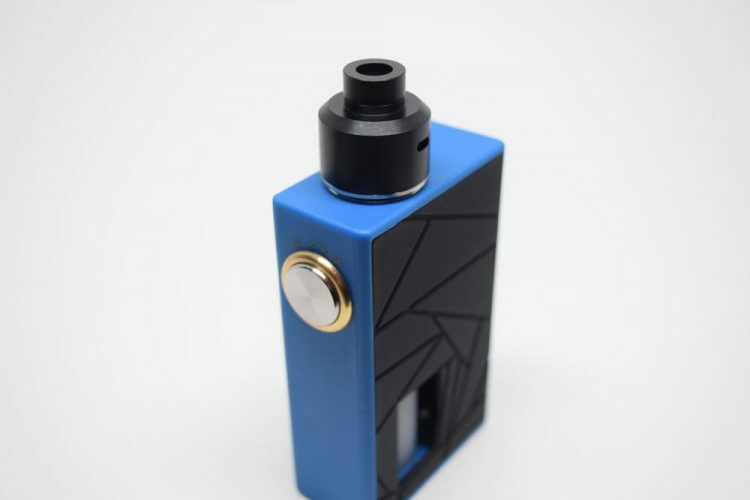 It’s important to mention that you can buy the Crea squonk mod by itself, but if you’re just getting into squonking and don’t yet have a bottom-feeding RDA, it’s worth spending a few extra dollars on this kit, so you can try squonking without having to spend more on a premium atomizer. 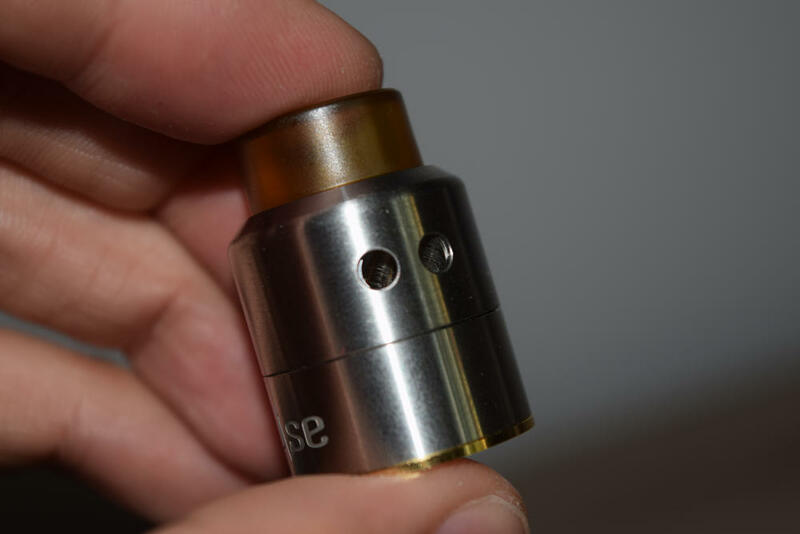 The little guy included in this package is nothing special, but it’s good enough to get you started, and you can always get a better RDA later. The Crea mod and the bottom-feeding RDA are all that’s included in this kit, but while it may sound like an austere package, at this price, you’re practically getting the RDA as a bonus, so it’s a great deal! The Arctic Dolphin Crea box mod measures 81.5 mm x 51 mm x 25 mm, and is made primarily of fireproof ABS, a common thermoplastic polymer. It’s basically a type of plastic that is fairly cheap and easy to process, and also the main reason that companies like Arctic Dolphin and Vandy Vape have been able to lower the price of squonk mods so dramatically. You can certainly find better quality bottom-feeding devices out there, but be prepared to pay a premium price for them. 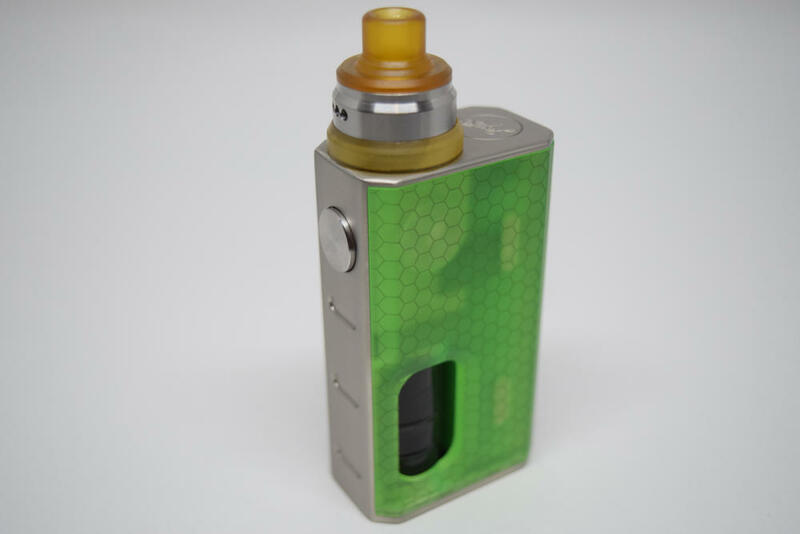 The Crea has a classic rectangular box mod shape, with removable ABS panels on both sides. Both panels feature an abstract design made up of lines forming various angles. It’s not going to turn heads when you’re out and about, but it was definitely a simple and cost-effective way of giving the mod an identity. What I don’t like about the panels is how tricky it is to remove them. 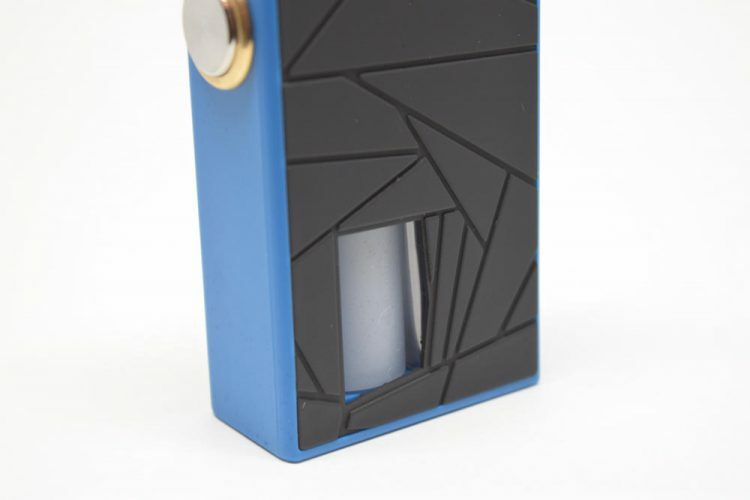 Unlike the Vandy Vape Pulse BF mod, the Crea doesn’t have any cutouts in the ABS frame where you can stick your fingernail or the tip of your finger to remove the panels, so you just have to look for gaps between the frame and the panels to pop them out. It’s not that hard to do, but Arctic Dolphin could have definitely come up with a better system. The good thing is that both panels feature large, powerful magnets at the top and the bottom, so you don’t have to worry about them wiggling in your hand or coming off at the worst possible time. The fire button doesn’t have that satisfying click of most regulated mods, but that’s normal for what is essentially a mechanical device. You push it and it completes the circuit by making contact with the 510 connection on the inside. 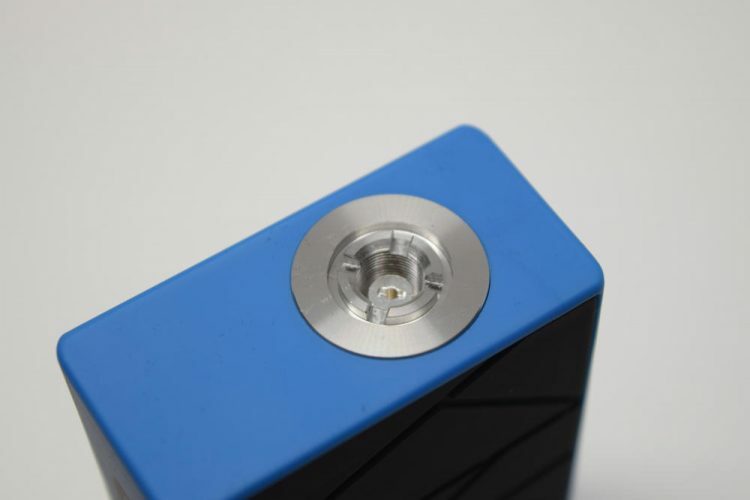 The back of the button seems to be made of brass and has a large surface area, so you really don’t have to worry about it not making proper contact with the the stainless steel connection when you press it. In this regard, the Arctic Dolphin Crea is actually better than the Vandy Vape Pulse BF, hitting hard every time you press the button. 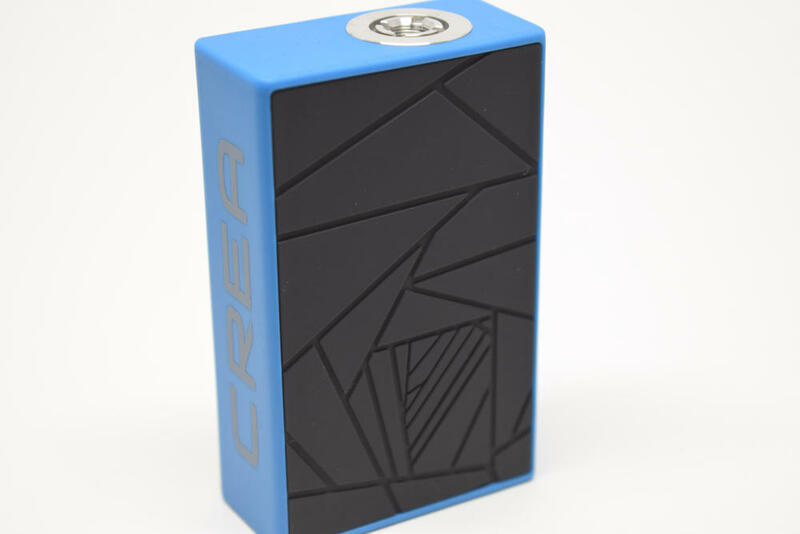 Like most other squonk mods, the Crea has a safety mechanism that allows you to lock the fire button so it doesn’t activate the battery accidentally. That is a particularly dangerous thing to have happen, especially if the mod is stored somewhere, like in your pocket or purse. Because such devices are completely unregulated, there is nothing to stop the battery from overheating and potentially exploding and causing serious damage or even bodily harm. Locking the fire button when you’re not using a mechanical mod is extremely important, and the Arctic Dolphin Crea makes it extremely easy. Unfortunately, there is no way to prevent it from unlocking accidentally. As you can see in some of the photos there are two padlock symbols above the fire button, one locked and the other unlocked. These are meant to show that you can turn the button clockwise to lock it, and counterclockwise to unlock it. Since the button sticks out from the mod quite a bit, you can grab it with your fingertips to turn it, but you can just as easily do it one finger. That’s actually the problem, though. Because the button turns so easily, it can sometimes lock accidentally while you’re using it, but, most importantly, it can unlock in your pocket. I like the simplicity of the locking mechanism, but it’s just not safe enough, in my opinion. If you want to safely carry it in your pocket, I strongly recommend that you first remove the battery. 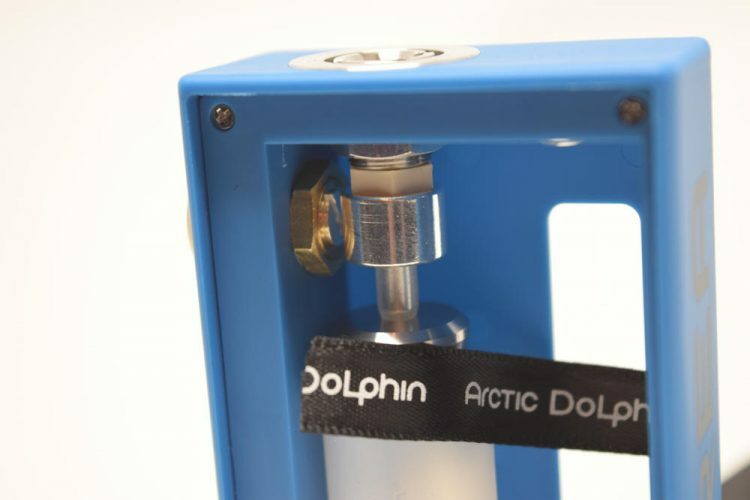 The Arctic Dolphin Crea is powered by a single 18650. The battery compartment doesn’t feature polarity markings, but since this is an unregulated mod, it really doesn’t matter very much. I do recommend inserting the battery with the negative post up, because the battery connector at the top of the compartment is spring-loaded, so it’s easier to get it in that way. The battery compartment has a fabric ribbon to help you remove the battery, and you’ll probably need to use it, because once you insert the battery it’s really hard to yank out. Space is so tight, in fact, that you need to be very careful not to tear the battery wrapping when you pull it out. One one hand, it’s nice to know that your battery will not move around at all, but then again, you don’t want to ruin a perfectly good battery either. My main gripe with the Arctic Dolphin Crea is the 510 connection, specifically the fact that it is not spring-loaded. In order to adjust the height of the hollow connection pin, you need to turn it with a flat-head screwdriver, which can be frustrating. Lift the pin too much, and you have a huge gap between the atomizer and the mod. Lower it too much, and the atomizer pin won’t make contact with the mod. If you have just one bottom-feeding atomizer, adjusting the connection pin manually won’t be a huge issue. You only have to do it once and forget all about it, but if you regularly switch between several atomizers, you’ll need to adjust the pin every time you change the atty. No one wants to do that, and I for one can’t understand why Arctic Dolphin went for this outdated system. On the inside, the 510 connection looks really solid. It’s made of stainless steel, and, as I mentioned before, it makes very good contact with the brass fire button. According to the manufacturer, some of the metallic components are silver-coated, which would explain the excellent conductivity. The included squeeze bottle is made of food-grade silicon, and holds up to 7 ml of e-liquid. 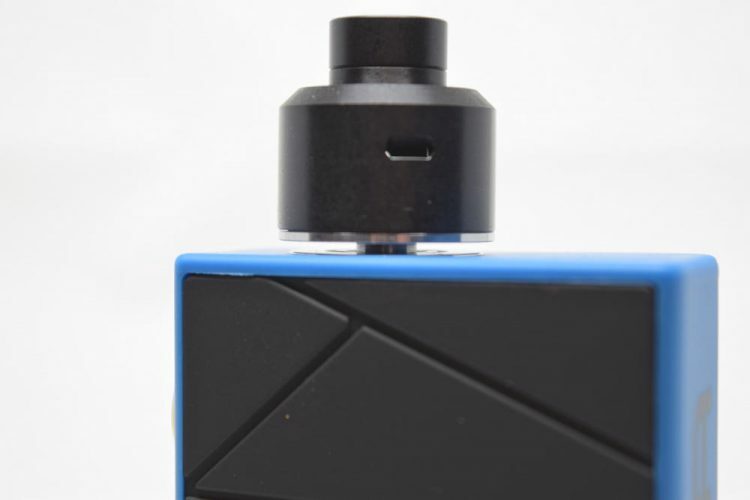 Thanks to the spacious cutout into one of the mod’s panels, it’s easy to give the bottle a squeeze, when you need to refill your atomizer with juice, just make sure not to press on the bottle too hard, or you’ll overfill. 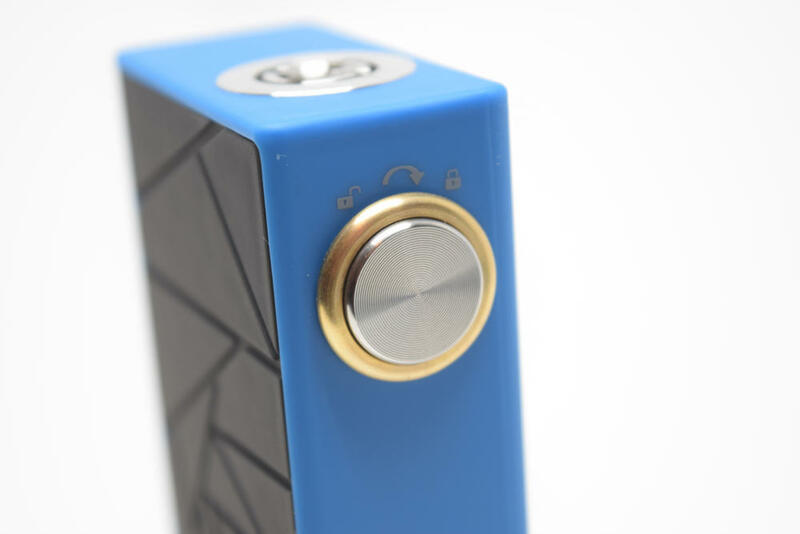 The Arctic Dolphin Crea is not made of the best quality materials, and it’s certainly not one of the best looking box mods on the market, but in terms of performance, it is a surprisingly solid device. I don’t have a lot of experience with squonkers, but out of all I’ve used so far, the Crea probably hits the hardest. I remember that the Vandy Vape Pulse BF had some minor connectivity issues that I was able to fix by tightening a small clamp on its fail-safe mechanism, but I didn’t need to make any adjustments on this device. You just press the fire button and it instantly activates the battery. I’ve only been using this mod for over a week, but I’ve had no leaking issues at all. The juice travels up into the atomizer as it should, and the bottle is easy to take out and clean. I really don’t have anything negative to say about the Crea in regards to performance. Arctic Dolphin may have cut a few corners in terms of build quality and design, but performance is top notch for such a ridiculously cheap squonking mod. The included atomizer is decent, but you can definitely find better ones out there, if you’re serious about squonking. This one is only 22 mm in diameter, so there’s not a lot of room for big, exotic coils, the barrel is made out of plastic and the drip-tip is not removable. However, you really can’t ask for too much from an atomizer that is basically thrown in as a bonus. It works, and that’s good enough for me. There are a lot of things that Arctic Dolphin could have handled better when designing the Crea squonking mod, like the locking system of the fire button or the fixed connection pin, but if you can overlook these shortcomings, this is a really good device, especially for the price you’re paying for it. If you care more about performance and affordability than you do about build quality and looks, the Arctic Dolphin Crea is simply an excellent choice. It’s under $30, for crying out loud. 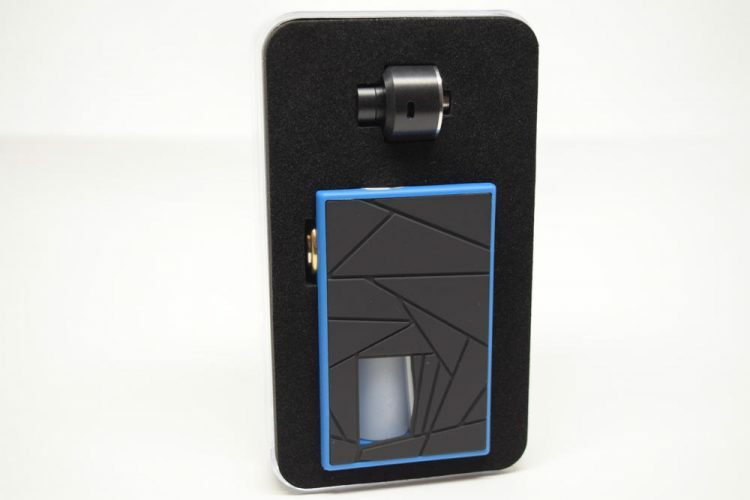 Squonk mods just don’t get cheaper than that. 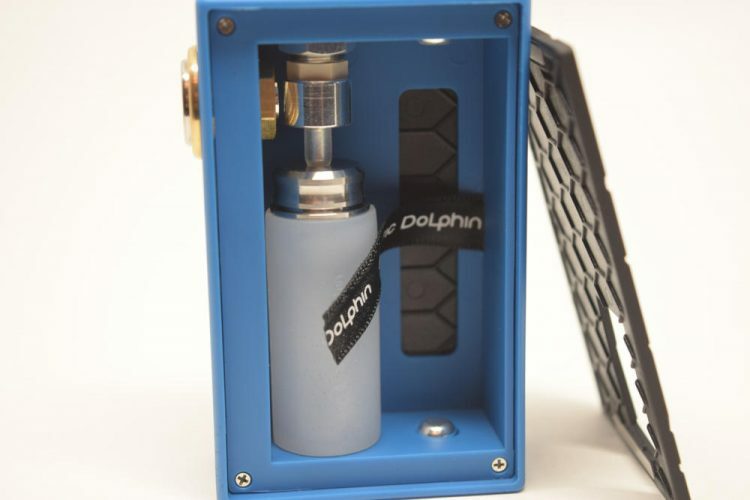 The Arctic Dolphin Crea kit was sent to me for the purpose of this review, by our partners at Heaven Gifts, who also carry the standalone squonk mod. I purchased a attic dolphin 210 and it worked great for about 4 months. After 4 months it started malfunctioning. The screen reads “ current to large” with any coil I use. I’ve tried to get service on the unit and no service is available. I will never purchase any unit made by this company again!!! !